You can take advantage of the inexhaustible pharmacy of nature and prepare dishes both tasty and healthy. This book intends to help contemporary man reconnect himself with nature, that is, with the dietary customs which have been adopted by people in the Mediterranean region for thousands of years. 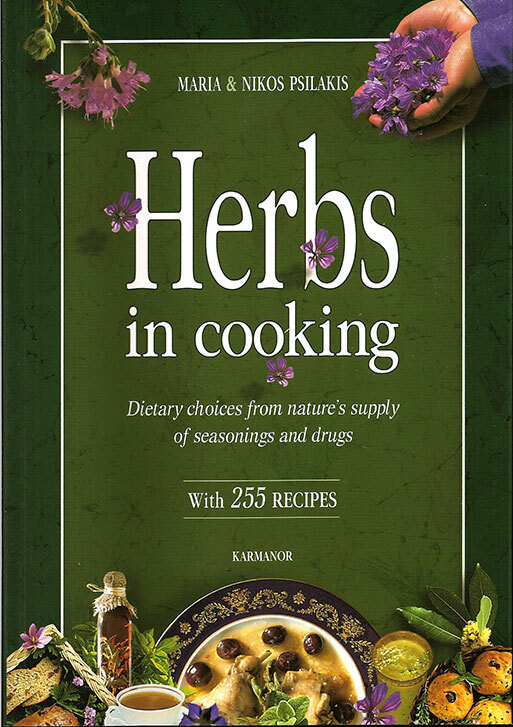 In a special chapter there exists detailed information about the commonest herbs, as well about their special characteristics so that they can be recognizable. In addition, there are 250 recipes for food preparations, herbal teas, beverages, flavoured olive oil, breads, cakes and biscuits, which can travel you through the wonderful world of natural taste. There are recipes for meals selected from the general Mediterranean region as well as recipes for creative dishes. The book also contains historical, medical, cultural and mythological information which we strongly believe will help people of today get ideas for better nutrition and health!